Our independent installers are fully insured. Fees are based on the depth and scope of your project. Please ask for an estimate. *Custom refrigeration installation requires HVAC technician. Our wine cellar consultant has 6 years of experience as a buyer and merchandiser of wine accessories. Let us help you select the perfect accoutrements for your special room. With years of sales and marketing experience in the wine business, our wine consultant can choose wine for your new cellar. We take into account your personal taste, budget and cellar capacity. As an affiliate to France 44 Wines and Spirits, we can obtain limited releases and older vintages. Imagine - literally thousands of wines at our fingertips - you benefit from our global wine selection. Choose from a menu of a la carte services or select a package that will provide for a full service design, selection and installation of your cellar. 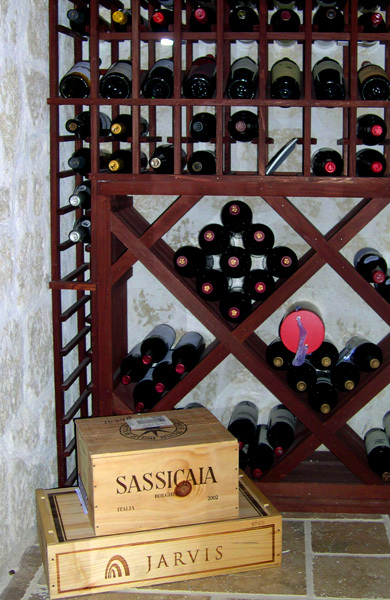 Determine the client’s needs for building and/or wine cellar fulfillment.